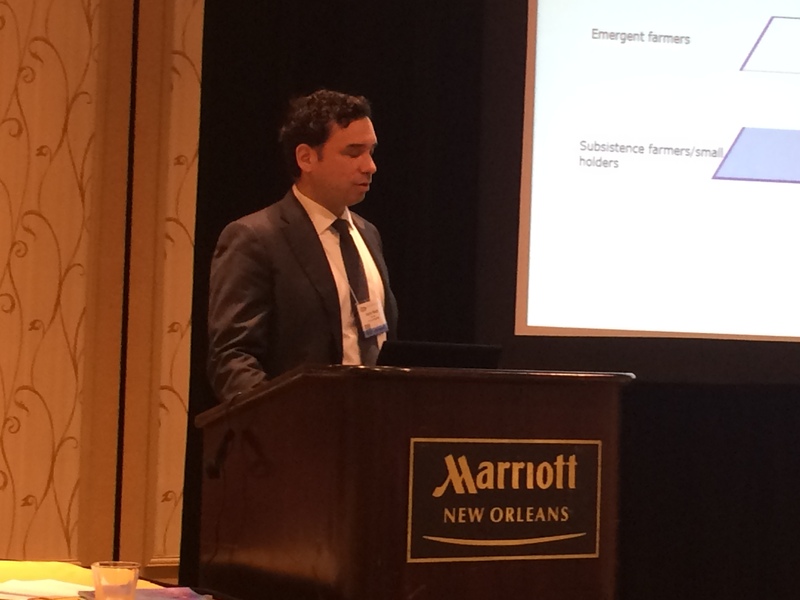 Mr. Nikolik attended the AwF General Meeting and spoke in the AwF Session on Development, Welfare & Poverty Alleviation at Aquaculture America (AA15) in New Orleans. During these presentations he explained about Rabobank and the various organisations that they have and the roles that they play. Rabobank are the largest Agriculture Bank in the world and are in the top three banks which invest in aquaculture. During the session, which included speakers from Kenya, Ghana, Bangladesh, Nigeria, Mexico, Netherlands and Australia covering a range of activities within the subject area, Palmer gave an update on all AwF recent activities and outlined the global plan which is evolving based on Aquaculture Learning Centres (ALC) and strong collaboration with local partners. Kevin Fitzsimmons, a champion of AwF since its inception in 2004, gave an update on projects which are being finalised through the University of Arizona/AwF arrangements in Myanmar, Nepal, Bangladesh, Kenya and Tanzania. During the AA15 Kevin met with Kenyan aquaculture farmers and NGO’s and academics from Kenya and we are in various stages of identifying volunteers with specific skills willing to go work with our various hosts of the projects. Antonio Garza d’Yta presented the information on the Mexican ALC and said that it was excellent to see how the dreams that they had for this project are slowly and surely starting to come to life and that the students at UTMarT are getting much better opportunities to learn and progress in their careers as a result of the collaboration with AwF. At the end of session Palmer highlighted a number of the new initiatives that are being discussed for AwF including activities with Korea, Mexico and USA and highlighted that the Networks relating to Women, Indigenous and Schools/Students were in various stages of planning and activity. He also advised that AwF will be presenting at University of New England (2 March) and Volunteers for Economic Growth Alliance members meeting (5 March) and will be holding its next session at World Aquaculture in Jeju, Korea on 30 May.